We would love to hear from you if you have something specific that you want. We are confident in our years of knowledge and experience that we can deliver anything our clients could possibly want. Drop us a message and let us have a conversation with you about how we can serve you and your needs. At Honey Jewelry Co we are pleased to offer an assortment of wedding bands that pair perfectly with and compliment our carefully crafted Engagement ring collections. We look forward to growing these offerings and sharing them with you as they develop. View some of our most popular wedding rings for men and women below, or click on the category button to view our entire selection. Aside from the excitement of finding the love of your life and presenting them with a unique engagement ring, the actual days, weeks, and months leading up to the special day can be overwhelming. Couples are faced with hundreds of decisions to make. From choosing the wedding day venue and bouquet flowers to the music and type of food that will be served at the reception, planning a wedding is no easy feat. While no parts of the planning process is to be taken lightly, some decisions simply come easier than others. But, not all decisions are created equal. One of the most challenging choices a couple has to wrestle with is finding the perfect wedding ring for their soon-to-be-spouse. 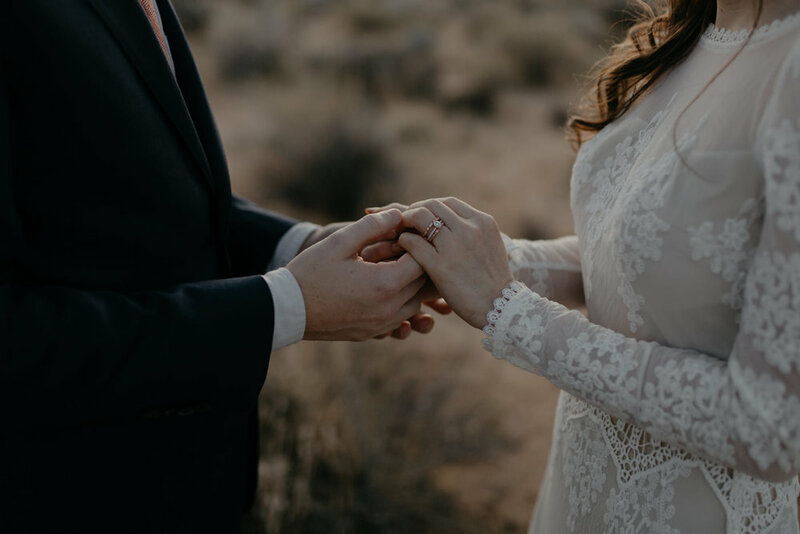 With so many selections of wedding rings for men and women on the market today, many couples simply become frustrated due to their inability to choose. In other words, finding the perfect wedding ring can be a daunting task. Furthermore, finding rings that complement and match each other can be even more difficult. This is where Honey Jewelry Co. comes in. Proudly based in San Diego, CA, Honey offers an assortment of wedding bands for men and women. More importantly, Honey has a dedicated staff of Californian jewelry artisans that put forth a nonstop effort to surpass client expectations for what’s possible. They know exactly how to create wedding rings for couples that play with the concept of harmonious beauty and style. At Honey Jewelry, our greatest passion is to offer our clients a piece of jewelry that speaks to their union – the coming together of two people for a lifetime. Honey Jewelry equals personal touch, which can be lacking with larger retailers. As a small business, we realize that we have a unique opportunity to personally guide our clients through the rough terrain of making one of the most important purchases of their lives. 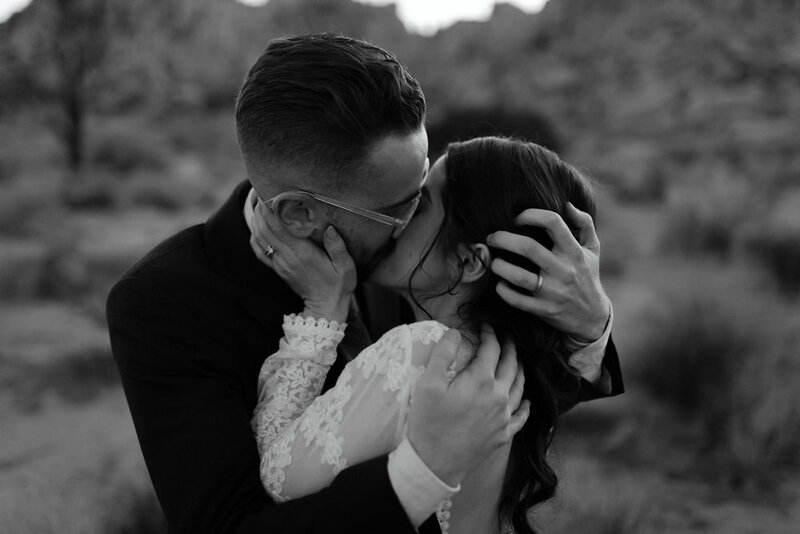 Owner and founder, Nick Ahlberg, built and launched Honey Jewelry Co. on the back of his adoration for handcrafted wedding bands, engagement rings, and of course stones – namely diamonds. Only the highest quality diamonds and colored stones, worth our clients’ time and money, are offered. Nick and the Honey team, made up of experienced and well-informed jewelry artisans, strive to exceed the needs of both men and women in the search to find matching jewelry pieces to tell their love story. From the moment of inquiry, we’re committed to making our clients feel special and safe as they embark on their journey. We accept and embrace the job of easing the hunt for knowledge and pricing information for custom-made wedding bands. In order to assist our clients in setting realistic goals, we gather as much information as possible, from a desired budget range to ring styles, stone sizes, and colors. We’re also prepared to answer and address any questions or pressing concerns. A wedding day is more than a special day; it’s the start of a lifetime. For that very reason, the Honey team wants to ensure that each client receives an accurate snapshot of available wedding band designs, and accompanying prices. As Honey Jewelry Co. offerings grow, so will the selection of wedding rings for men and women. Our varieties of wedding ring band designs are crafted to complement our unique engagement ring line. Most of our custom wedding rings for women can be stacked with other rings or worn as a single wedding band. 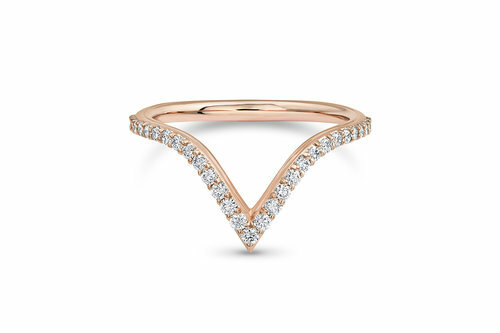 14k yellow gold, rose gold, and white gold is commonly available, while some styles are available in platinum. Stone size and pricing differ, while each ring’s diamonds are G-H in color and Si clarity. From our Lola and Vivian wedding rings to Hazel and Maven, there is a woman that each ring speaks to. The custom wedding bands for men are just as prized. Available in 10k, 14k, and 18k gold, each band is made to order, and ranges in size and price. Please note, our bands should be ordered a ½ size down from your size on a traditional finger sizer. Further, due to the labor and exceptional craftsmanship required to create our custom bands, there are no refunds. We do, however, offer a 7-day window for exchange or store credit towards another style of your liking, if the ring has not been worn (not even once). Our handmade wedding rings for men extend from a very masculine look, such as the Trigon, Hammered, and Honeycomb bands to a more subtle and traditional look, like our Stripe bands. In any case, each ring is a display of love and eternity. They can be perfectly matched to the style of the partners’ ring. Confident in our years of experience and knowledge, we are delighted to share our artisan wedding rings with the world, and look forward to developing new products as time goes on. When you need wedding rings for men and women, Honey Jewelry Co. can deliver just about anything you could possibly want. Contact our team today.